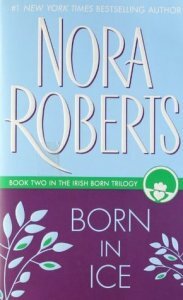 I’ve read just about every book written by Nora Roberts, and I have quite a few favorites. The Born in Trilogy is one of them, especially Born in Ice. There is something about Ireland that makes you think you’d like to get lost there…and who doesn’t love a brooding, writer hero?